As the title suggests, Budapest is actually two separate cities - Buda and Pest that were joined together to form a single city sometime in late 1800's. These two places are geographically split by the Danube river, that flows right through the centre of the city. It is currently the largest building in Hungary and still the highest building in Budapest. Of course there are tours to get inside the Parliament, but we were too late to get into an English-language tour (so go early). The building itself was huge and it takes a while to actually walk across the entire building. There are huge gardens with benches behind the parliament where you can sit and enjoy the magnificent view in front of you. The architecture of the building seemed like a grand theatre - with all pieces in perfect synchrony. Being white in color, it should out in stark contrast to everything else around it. If you're in Budapest, or even Hungary - this building is a must-visit. After our visit to the Parliament, we walked on the banks of Danube for some-time. We stopped near the Chain Bridge to enjoy the view of the bridge against the city on the river - it is a very pretty sight. Soon after, we walked across the bridge to arrive on the Buda side (the bridge isn't too long) - and the view from the bridge is nice as well. 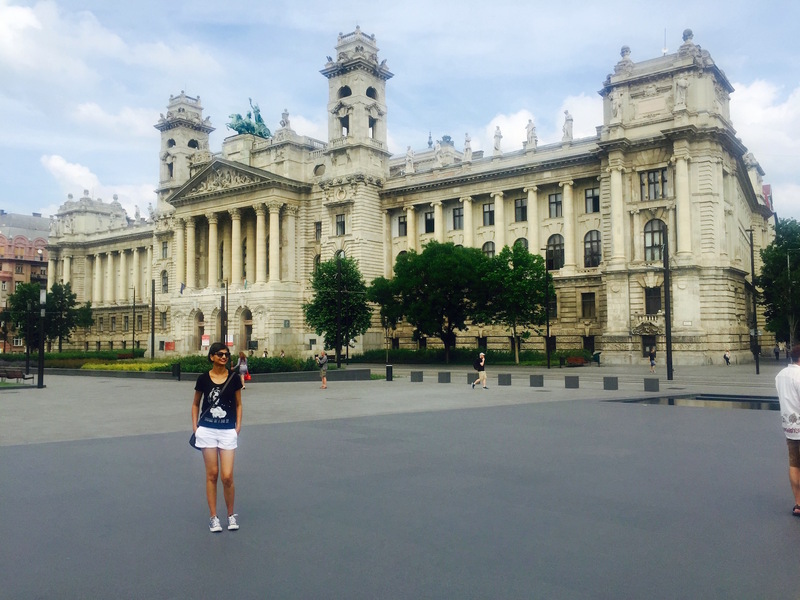 After crossing the bridge and entering Buda side, we went to see Buda Castle, (which is a world heritage site). This castle is on a hill, and we took the funicular ride instead of climbing the hill it was on. Just at the entrance of the ride was an ice-cream store, which had superb ice-creams. Unfortunately I forgot the name of the place, but it was very yummy - do check it out. Anyway back to Buda Castle, this castle was huge - and it was impossible to cover the castle and the museum inside in the few hours we had. We skipped the museum, and explored around the castle enjoying the views from up there. Oh, the best thing from the castle were the views - you could see the overview of the entire city from up there - and it was so cool. We also saw the famous Matthias Fountain as we were roaming across the castle. The castle had some nice architecture as well and it took us a couple of hours to walk around the entire castle. As we came down the castle on the funicular - we got to see a pretty view of the chain bridge again. I can never get tired of this view. 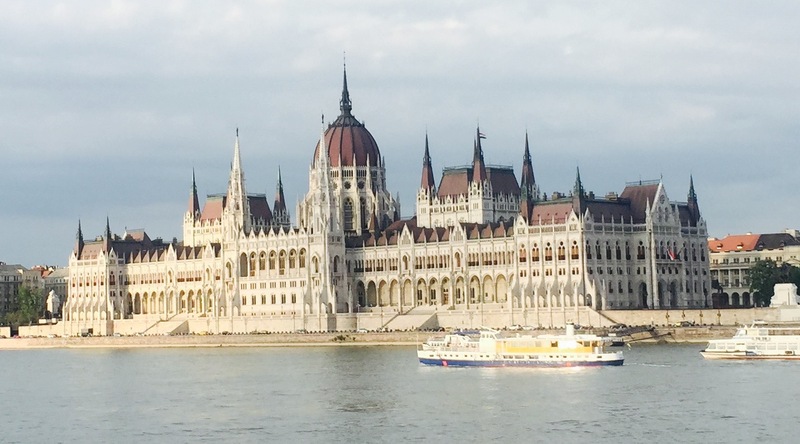 We then went to the banks of the river Danube on the Buda side, to see the Parliament from a-far and it did not disappoint. Truly an architectural marvel. Our last stop of the day was Budai Vigado. We took a package tour that included a folklore dance and a dinner cruise. The folklore dance showcased Hungarian traditions and culture - and it was pretty unique to get that insight. There were multiple performances by the group of dancers - and definitely choreographed and co-ordinated very well. I enjoyed the dance, but it might not be everyone's cup of tea. We then walked to our cruise nearby for the dinner - and everyone on the cruise has a window seat. The view of the illuminated Parliament building at night is just wow. You can see the lights from the Parliament building reflecting on the Danube river - and the entire scene itself looks straight out of a movie. On the other side, we had a gorgeous view of the illuminated Buda Castle (picture below). The cruise is well worth for the views themselves, if you ask me. Dinner was fine (not a lot of options if you're a vegetarian, but meat-lovers will enjoy). 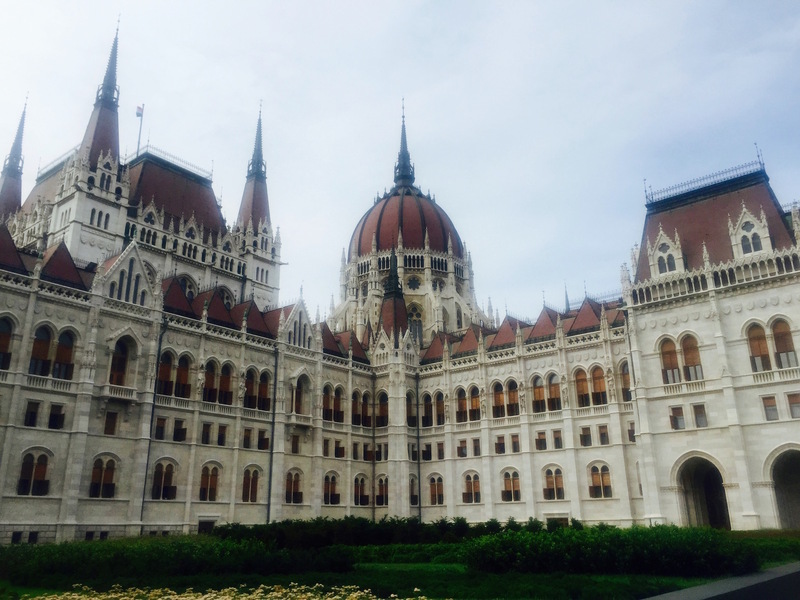 This was our first day at Budapest, but we still had a lot more to explore in this city. More posts coming soon!